Great series, very beautiful images! Fog at its most beautiful, Susan. It takes just the right place and this was it. Always…a perfect pairing. I miss New England. You made some very beautiful captures in that fog. Fog adds so much drama to a scene. Love the tree branches with the lonely leave and raindrop and the birds in flight. Have a lovely weekend Sue. Great pictures! One can feel the moisture in the air! Beautiful. There is a quiet beauty in foggy days and you’ve captured it beautifully here. Loved the Gazebo shot and the last of that tree. Lovely moody images. I love the one with the geese in the fog…and the quote is wonderful (as usual). Beautiful photos. Love the softness the fog lends to the pictures. SOOOO many beauties here. Love the geese! my goodness, that quote! “whoever hears it will weep in their souls, and hearths will seem warmer, and being inside will seem better to all who hear it in the distant towns”. So powerful. The fog photos are lovely! I shared mist in mine, you shared fog. The both change the landscape. Beautiful pictures of fog! I love how fog wraps up sounds and makes everything sound so different. All such wonderful images of the misty scenes I love so much. Great quote describing fog horns. Bradbury describes that mournful sound so well. Heartbreakingly beautiful…the images and words, Susan…. So nice…. 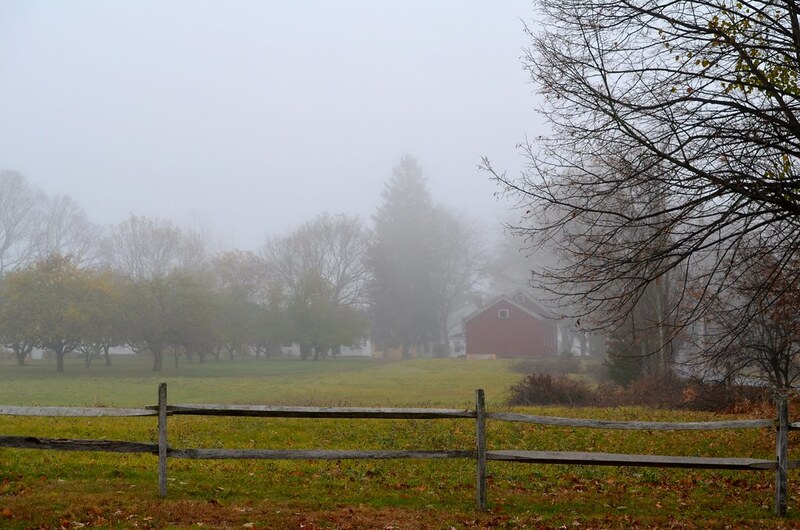 I love fog in the fall/winter, and you have captured it so beautifully here, Susan. So beautiful and serene. I’m glad you identified the locale. I love the mysterious mood of fog…it makes me stop and enjoy the quietness, and the shallow depth of vision, standing in it, surrounded by it, like a natural blanket. Beautiful captures Susan!! As always, thank you so much for your visits! Spectacular shots…i just love fog!!! That is some fog, really feels like a cold autumn day. But the pictures are beautiful!